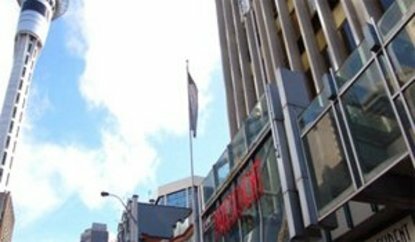 The Best Western President Hotel Auckland is located in the city center, just 100 meters to Queen Street (main shopping center) and Sky Tower and Casino. We are within walking distances to all CBD (central business district) attractions and amenities. Public transport is located in front of hotel. The reception and convenience store are open 24 hours. The high-rise building has 3 elevators and the latest safety and fire protection. Our fully air-conditioned, spacious rooms, some are apartments with kitchenettes, microwave and king-sized bed, are modern and comfortable and offer excellent value for the money in mid-range accommodations in the city.